Bioelectronics is a developing field that promises to revolutionize interactions between living and electronic systems. 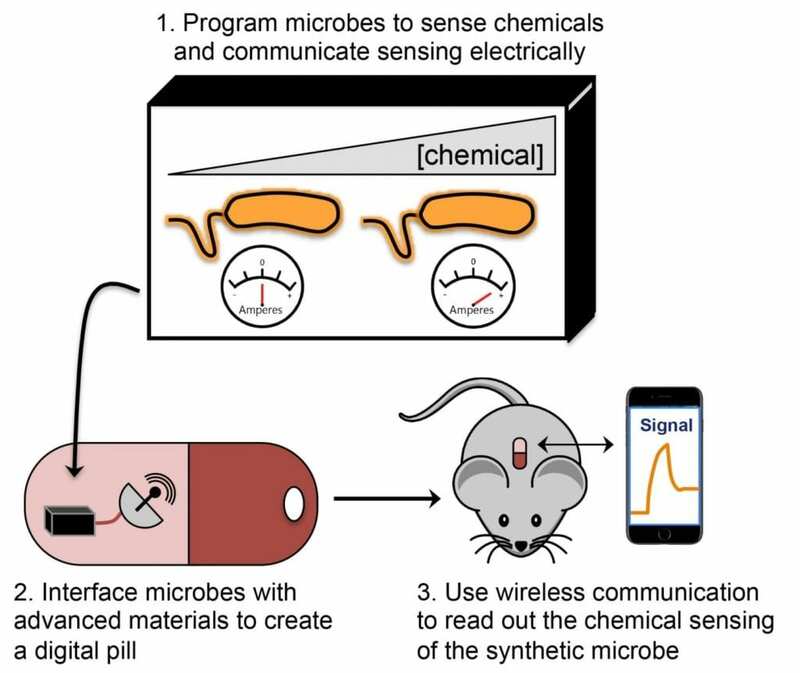 In their pitch to NSF, the Rice researchers noted bioelectronics "will transform fundamental science, industry, medicine and our way of life by yielding new technologies." The bioelectronics incubator, one of 17 new research traineeship programs announced today by NSF, will train students to develop technologies at the cell/material interface. It will be administered by Rice's Institute of Biosciences and Bioengineering and will help formalize interdisciplinary education and research focused on bioelectronics. The program will connect microbiology, chemistry, chemical biology, synthetic biology, materials science, bioengineering, data science, Earth science and social science researchers at Rice. Jonathan (Joff) Silberg, a professor of biosciences and bioengineering, director of Rice's Systems, Synthetic and Physical Biology graduate program and principal investigator of the new program, said it will put Rice on the forefront of a wave of research that pairs high-tech materials science with cutting-edge biological engineering. "This program will be a fabulous umbrella that encompasses our historic strength in material science, our growing strengths in synthetic biology and neuroengineering and our leaders in the social sciences, who will help our students and faculty navigate the social and ethical challenges that come with designing devices that interface with the central nervous system," he said. According to the team's proposal, these developments could include light-harvesting systems, implantable devices, cells capable of electrosynthesis, electrochemical fermentation, electroceuticals, instruments to monitor complex signaling in the nervous system, living sensors and the implementation of brain control over computers. Bioelectronics will be the topic of this year's De Lange Conference at Rice, Dec. 4-5 at the BioScience Research Collaborative. It will also be the focus of a Gordon Research Conference chaired by Silberg and Rafael Verduzco, an associate professor of chemical and biomolecular engineering and part of the new graduate program's core faculty, in New Hampshire in June 2019. "We'll get about 40 student-years of support" from the grant, Silberg said. "We'll have on the order of 20 students who are supported for multiple years and who will be in this program for the whole time they're graduate students." He said early instruction for teams will rely on the guidance of Eduardo Salas, the Allyn R. and Gladys M. Cline Chair of the Department of Psychological Sciences, and Josh Eyler, director of Rice's Center for Teaching Excellence, and that training will incorporate elements of public policy, political science and economics as well as ethics. "There's a movement in academia called the science of team science that is trying to answer this question: How do we turn a team of experts into an expert team?" Salas said. "When biologists, computer scientists and psychologists get together to solve a problem, we want to know how they collaborate, how they coordinate and how they communicate. This grant is a good example of how, from early on, graduate students and undergrads can learn about collaboration and communication to solve problems." He said the traineeship grant is an opportunity to not only provide practical advice to students but also to collect scientific data on how collaborative techniques develop over time. "We know that innovation and knowledge generation come from effective multidisciplinary teams, so teamwork and collaboration are paramount to success in science teams," Salas said. Silberg noted the ambitious program was catalyzed by Rice LIFT, a 2017 symposium initiated by Provost Marie Lynn Miranda to encourage "outside the box" interdisciplinary proposals by Rice faculty. It also falls in line with Rice's goal to elevate research as part of the university's Vision for the Second Century, Second Decade. "The goal of this grant is to build stronger connections between students from different schools and departments from Day 1," Silberg said. "We want graduate students to learn from the start how to build and manage strong teams." Directing students' aspirations toward bioelectronics seems like a natural, given the expertise that will be available to them, he said. "I think within five years, we'll be seeing grants, papers and joint thesis chapters around the projects these students choose to take on," Silberg said. "And they will be 100 percent Rice-centric."